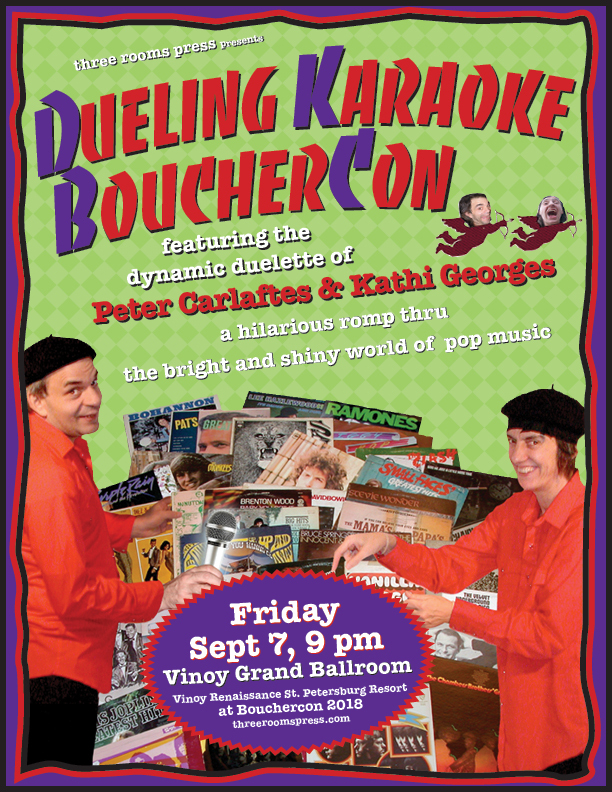 Home→Upcoming Events→09/07/18: Dueling Karaoke Bouchercon! Join the Dynamic Duelette of Peter Carlaftes and Kat Georges on Friday, Sept 7, 9 pm as they rip the light fantastic and remix the auras of the icons of the pop music industry. 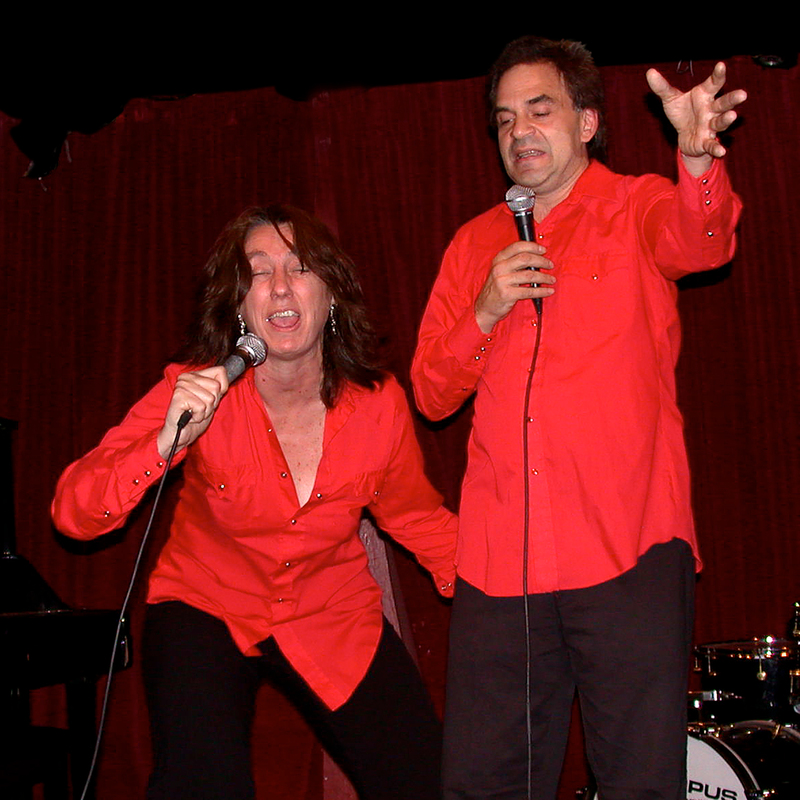 From Bing to Sting, Abba to Avril, The Bee Gees to Beyonce–the Dynamic Duelette creates the ultimate live mental hyperlinks in the biz, in this extraordinarily fast-paced, funny-as-all-get-out, downright wacky comedic extravaganza.